Our organization is involved in a wide range of manufacturing of Overload Safety Switch around the globe. We manufacture these products using top quality raw materials sourced from confidential vendors. We are a trustworthy organization in offering a wide gamut of Overload Limiter. 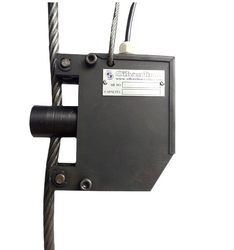 » Load Limiter for overhead Cranes and Hoists. winding and breakage of ropes. » Prevents Accidents ensuring Safer Working Conditions and Reduces maintenance costs. » Wire Rope is provided as an Additional Safety from preventing fall of Load limiter. » Overload limiter can be made available for a unit to be installed on a moving rope on request.